Mercedes C350 Review - What Is New and What Is Cool? One of their best models is the Mercedes C350. This sporty sedan offers a refined look you will love. The car comes with many color choices ranging from the traditional black to the sharp Palladium Silver Metallic that way you can choose a color suiting of your taste. Along with its luxurious look, the Mercedes C350 packs impressive power under the hood with its six-cylinder diesel engine. The engine has many tweaks that make it more efficient like the rapid-multi spark ignition, which fires your car to life quickly. The engine also has added features to improve fuel economy. The ECO Start/Stop System shuts off the engine when you are idle in traffic or at a stoplight, that way it doesn’t consume as much fuel. The Mercedes C350 also has impressive safety features that make it among the best family sedans. The Attention Assist is an outstanding addition, as it monitors driver’s behavior and can alert you when you may start to dose off. The Blind Spot Assist helps drivers spot hidden vehicles by issuing a red dot on the appropriate side mirror when a car is in your blind spot. Lastly, the Lane Keep Assist monitors your driving and alerts you when you are swaying off the lane by vibrating the steering wheel. The entertainment accessories in the Mercedes C350 are also exceptional. There’s the HD Radio with receiver, where you will receive crisp broadcasts. The Comand hard-drive navigation with Zagat Survey provides directions and attractions nearby on its large LCD screen. Ultimately, this car offers a driving experience you have to try. It has revolutionary safety features that will protect you, outstanding entertainment options that will keep your passengers entertained and superior driving performance you would expect from Mercedes. To try one out, stop by your local dealership. 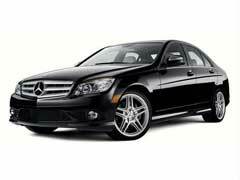 While there, also ask about specials on a Mercedes Benz lease. Furthermore, they are a great place to pick up any Mercedes Benz parts you would need for your ride.